Wooohoooo! At long last, the HillJillys double up! 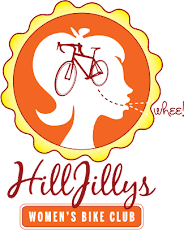 In addition to the intro-level bike path excursion that's happening Saturday, Kristy will be leading a second HillJillys-friendly ride: mountain bikes in Annadel. Meet on Channel Drive, at the bottom of Cobblestone, at 10am. Ride level: Intermediate to Advanced. Rain cancels!